Meals: Japanese style breakfast included. Kaiseki ryori is available upon request at additional charge. Part 3. 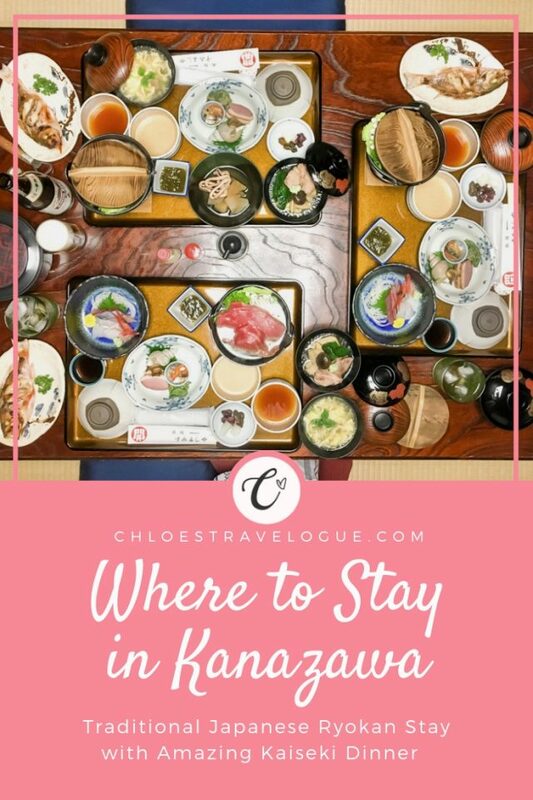 Where to Stay in Kanazawa: Kanazawa Hotel Review ? Sumiyoshiya Ryokan is a boutique hotel located in the best area to stay in Kanazawa. This ryokan features a beautiful garden and pebbled hallway with traditional Japanese decor items. 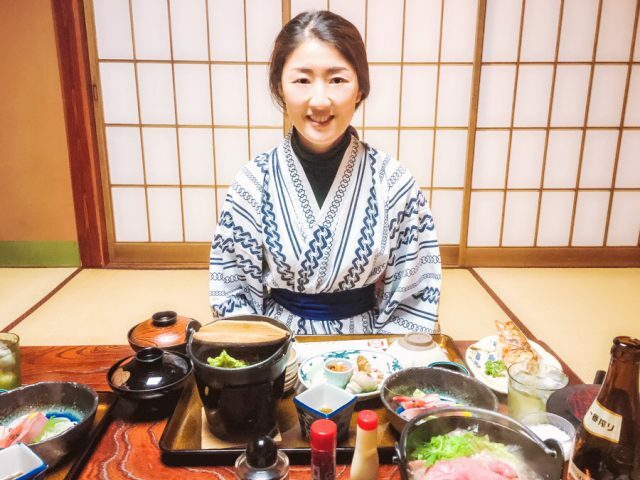 Operated by a friendly family, Sumiyoshiya provides cozy and comfortable accommodations like at home where you can experience Japanese hospitality. Best of all, this affordable Kanazawa ryokan offers an unforgettable kaiseki ryori experience. The location of this Kanazawa ryokan is superb! It’s a 15-min walk or 5-min taxi ride away from JR Kanazawa station. 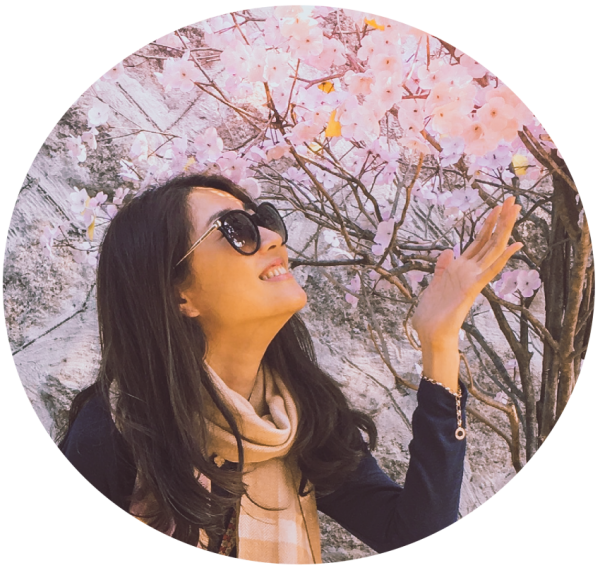 It takes about 5-10 minute on foot to get to main tourist sites such as Kanazawa Castle, Kenrokuen Garden, and Omicho market. Higashi Chaya is also within 15-min walk distance. We booked one Japanese-style tatami room with a private bath for three of us. However, we were lucky that the small room (without private bath) next door was vacant for two nights. Our host was kind enough to offer that room to us at no extra charge for our comfort. And we three happily shared one private bath in the main room. Following the check-in, our host offered a welcome tea and gold-leaf omiyage. It was served in a low table inside our room. Kanazawa gold leaf is a local specialty. I loved the gold leaf manju so much that I ended up buying a box to bring home as a souvenir. You can read more about why it is so unique and where to find it on my Kanazawa Japan Guide. Do you like my yukata in the photo above? You can rent a kimono or yukata for sightseeing! Kaiseki ryori is a special dinner served at a traditional ryokan, made with local and seasonal specialties. Because of the city's proximity to the shore, fresh and diverse Kanazawa seafood is well-known in Japan. Especially, steamed crab is one of the must-eat Kanazawa food. After failing to buy an expensive crab at Omicho market, I was ecstatic to find it on the Kaiseki dinner! Besides the crabs, the menu consists of assorted sashimi, deep-fried shrimp and vegetables (“tempura”), chicken stew with vegetables, salmon steak, tiger prawn, pan-fried fish, egg soup, and lots side dishes including conch and edamame. All of which was AMAZING. And after walking on knee-deep snow for a half day, it couldn’t get any better than having the choice of beef hot pot. Every single part of the meal was detailed, carved beautifully and cooked to perfection. It could easily be compared with a Michelin 3-star meal. Also, I was surprised at the generous portion of Kaiseki ryori. When our host brought out the appetizer, I honestly thought that was it. But it kept coming and coming. I have never seen such a generous portion in my past Japanese dining experiences. If we had a similar course meal outside of ryokan, it would have cost us a fortune. We opted to eat the dinner at the comfort of our room. I regretted this decision later as it was difficult for me to sit at the low table for an extended period. I have to say this was the only complaint I had. But to be fair, we did have an option to eat at the dining room with a regular table and chair. Once we finished our satisfying meal, our host discreetly came to the room to roll out the futon beds. It might not be appealing to you to sleep on a futon bed on the tatami floor; however, these futon beds were more comfortable than an average hotel bed. The futon mattress is so thick and plush that I almost felt like sleeping on a cloud. The bedding is also warm and cozy. Nothing is better than staying inside the cozy blanket in snowy winter days! I had a hard time to get out of the bed in the morning. Before we went to sleep, we hung our wet jackets, hats, and gloves from the snow. The heater in the room was working very well. So it helped to keep some moisture in the air while we were sleeping. Sumiyoshiya offers either a shared or private bathroom. We enjoyed the private en-suite bathroom. The bathroom was separated into three sections by function: 1) bathtub and shower behind the door, 2) sink outside the bath, and 3) a separate toilet room with bidet. This layout worked very well for us. As you can imagine three girls trying to get ready at the same time in the morning can get hectic. As these areas are separated, all three of us can be effective doing something in different areas at the same time without being rushed. I enjoyed the Japanese bidet in the toilet. The en-suite bathroom was located at the end of the hallway inside the room, separated by a set of sliding doors. In winter, this means that the heater inside the room might not reach the hallway and bathroom. But it wasn’t a big deal as the bidet warmed up the seat while using the toilet. If you are wondering what this means, I assume you had never used a bidet. It’s commonly found in Japan, so read how to use Japanese bathroom here. I didn’t use a public bath at Sumiyoshiya. However, it offers a gender-separated hot public bath & shower facility if you would prefer. At Sumiyoshiya, guests can enjoy the Japanese-style breakfast (or western-style) in the dining room. Generally speaking, I love any Japanese hotel breakfast, but this home-cooking breakfast was easily one of my favorites ever. The dining room faced a beautiful Japanese garden outside the full glass window. Breakfast looking out the snowy garden? It is the perfect way to start a morning. During our stay at this Kanazawa hotel, the entire city (and the country) experienced heavy snowfalls. It wouldn’t have been practical to ride a bicycle on the slippery road. But note that Sumiyoshiya offers free bike rental to guests. I had a wonderful time at Sumiyoshiya Ryokan. I highly recommend staying at this Kanazawa ryokan to fully immerse oneself in local hospitality and traditional Japanese hotel experience. Click here for availability and rates.